Emanating from The Amazon Spheres at their Seattle HQ, Amazon held an event to announce a ton of new smart home gadgets this afternoon. If you’re already in Amazon’s ecosystem, read on to get all the details on new ventures into the kitchen, your car’s dashboard, and more. 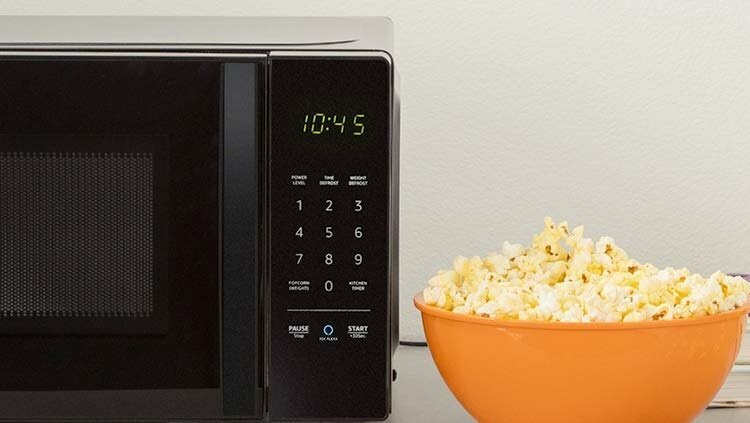 Perhaps the most exciting announcement for eligible bachelors everywhere, Amazon’s new microwave works with any nearby Echo device to add voice controls to your popcorn making. The device supports all sorts of preset options for favorite dishes and includes everything you’d expect from a microwave in 2018. If you prefer the more traditional options, the device even features the old school keypad. Near the bottom, there’s a button to activate Alexa in case you only want to hit one thing. The most touted feature at the event is the ability for the microwave to detect when you’re low on popcorn. As it counts the bags you consume, the device can call out to Amazon and order more so you never run out. One can imagine that this skill might expand to other munchies in the future. When you’re first starting on your journey to automate everything, it might feel daunting. You’ve already filled your abode with countless lamps, fans, and creepy dancing Santas. None of these activate with your voice, but they could. Amazon’s $25 passthrough box will let you upgrade your old stuff into the future. The pitch is that you can plug a lamp in and have it turn off with a simple command as you lay down to sleep. Alexa’s Routines will even let you set multiple commands to fit into your normal day to day … routine. Clever. 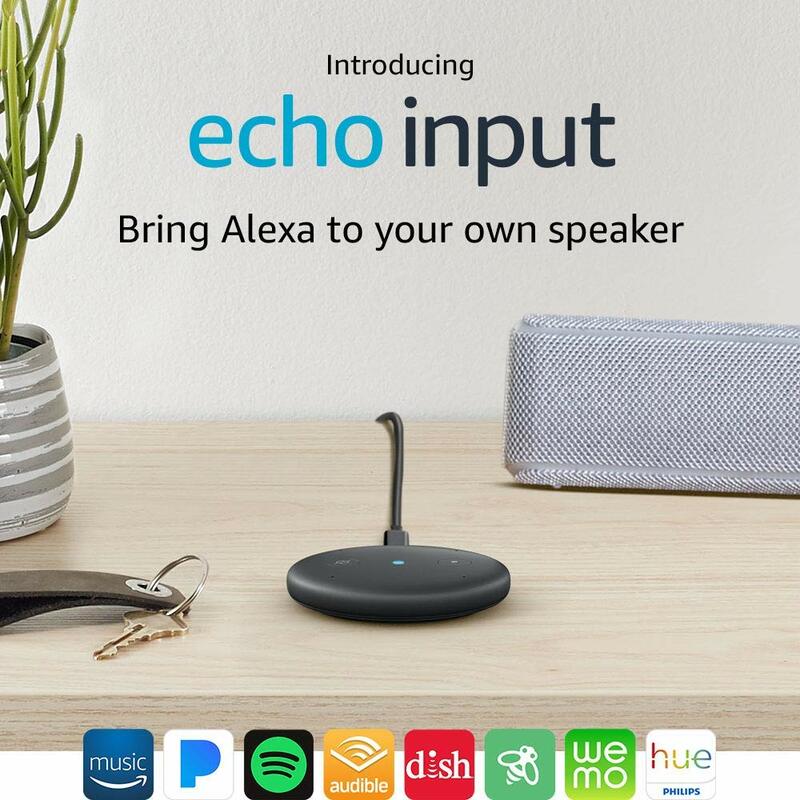 Similar to our last doohickey, the Echo Input takes an older device and gives it a digital facelift. This is an audio passthrough that will connect to your existing speakers and make them compatible with Alexa voice commands. Once set up, you’ll have access to all the typical Alexa commands, like playing songs from your favorite music service to asking to recall who a certain actor was in that film you like. More often than not, it’s Luiz Guzman for me. If you’ve cut the cable cord but still catch over the air network TV, Amazon has a method to bring that content with you across the home. 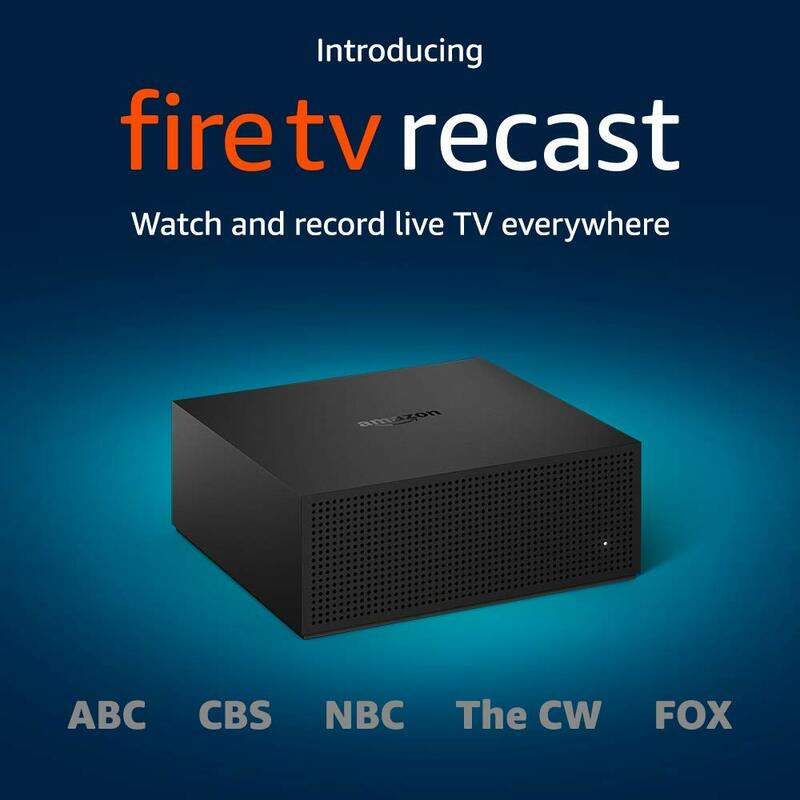 The Recast is a DVR that captures network shows and then beams them seamlessly to an Echo Show or Fire TV device. You can ask Alexa to record specific shows or bring up the channel guide for quick browsing. It works with all generations of the Fire TV and televisions that carry the software suite. On the go? The Recast will also let you access your shows through the Fire TV app on iOS and Android devices. All of this functionality comes with no ongoing fees, just the initial price for the box. Now you never have an excuse to miss out on the latest episode of Antiques Roadshow. 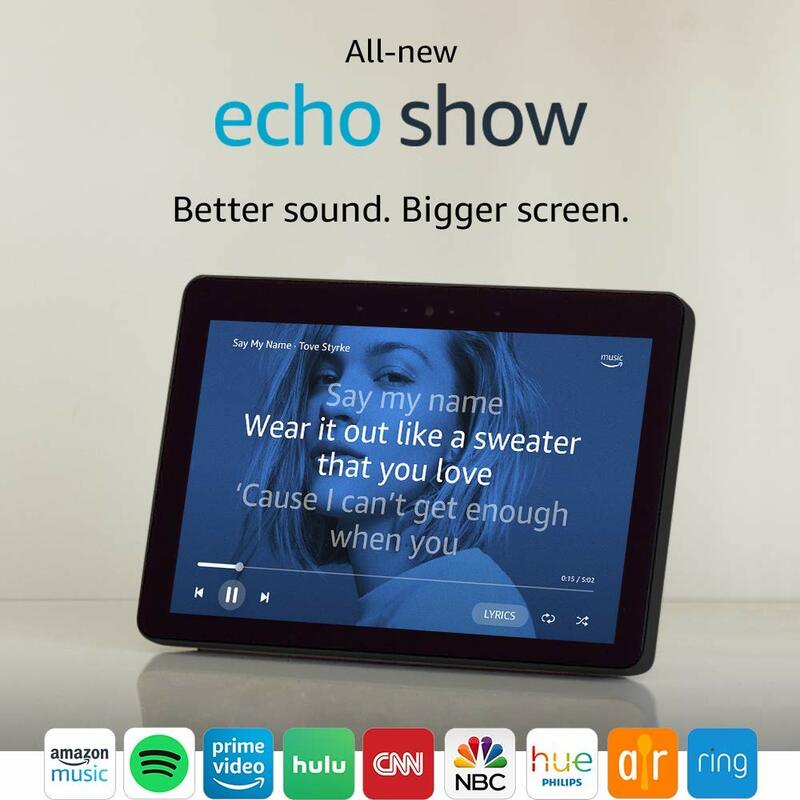 Technically not a brand new product, but the upgrades being made to the Echo Show deserve some mention here. Gone is the dedicated front speaker and the clunky design. This new sleek screen can put out Dolby supported stereo sound for all your videos. It’s also the premier Echo device if you want to video conference. Especially considering a new partnership with Microsoft to bring Skype support to the device. If you just want a small screen on your desk to watch videos, the original Echo Show may have posed a problem. When the biggest video website in the world is owned by a direct competitor, it becomes tough to watch your cat videos. Thankfully, Amazon is adding support for both Firefox and its own Silk browser. Similar to the Fire TV workaround, this should let you log in to YouTube and other spots outside of the world of Amazon. Just make sure you don’t talk about your low skill hacking close to your Android phone. So, you’re driving around your mom’s beat up old station wagon. You’ve still got a tape player in the dashboard, and you’re climbing towards 150,000 miles. You’re a gadget lover, but lack the funds to really dive into the future. 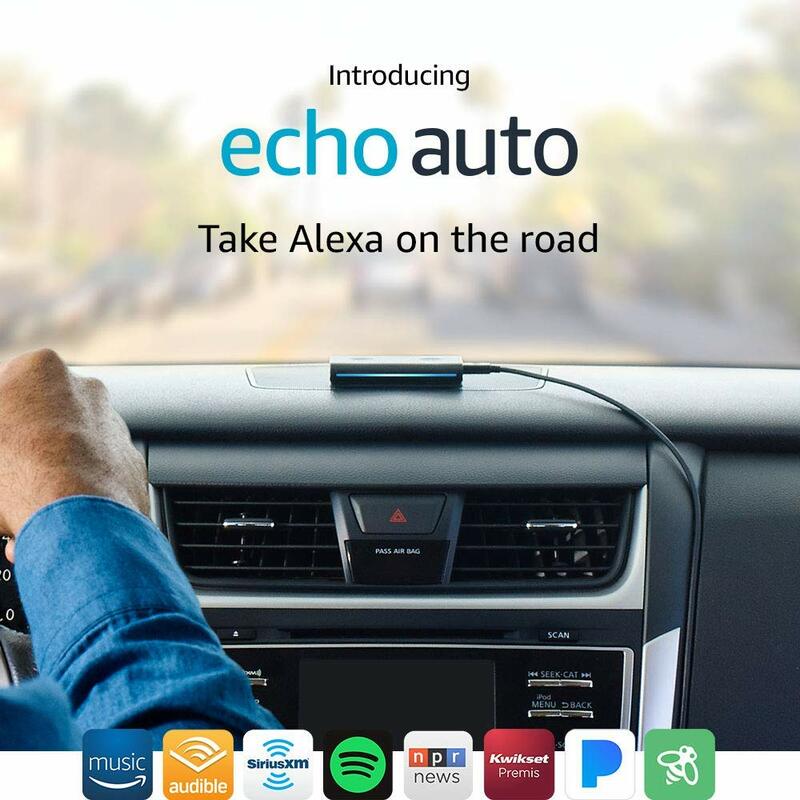 You’re exactly the person that Amazon is targeting with their Echo Auto. This is a tiny cassette-sized box that sits under your windshield. Connecting to your smartphone via the Alexa app, you’ll be able to give voice commands during your commute. Want to stop at the nearest Checkers? Need to hit up a bathroom? Want to set a song to play every Friday when you leave the office? These are all tasks that Echo Auto can handle with ease while you keep your hands at 10 and 2 and make your driving instructor proud. Outside of new gadgetry, Amazon talked about a lot of updates to Alexa itself. The voice assistant will soon respond to your voice and adjust its tone depending on how you speak to it. Alexa Guard will detect sounds like glass breaking when you’re not home and flip your smart lights or alert authorities. Alexa Hunches will look at what smart devices you already have and suggest common actions, like locking your door for you if you’re already going to sleep. 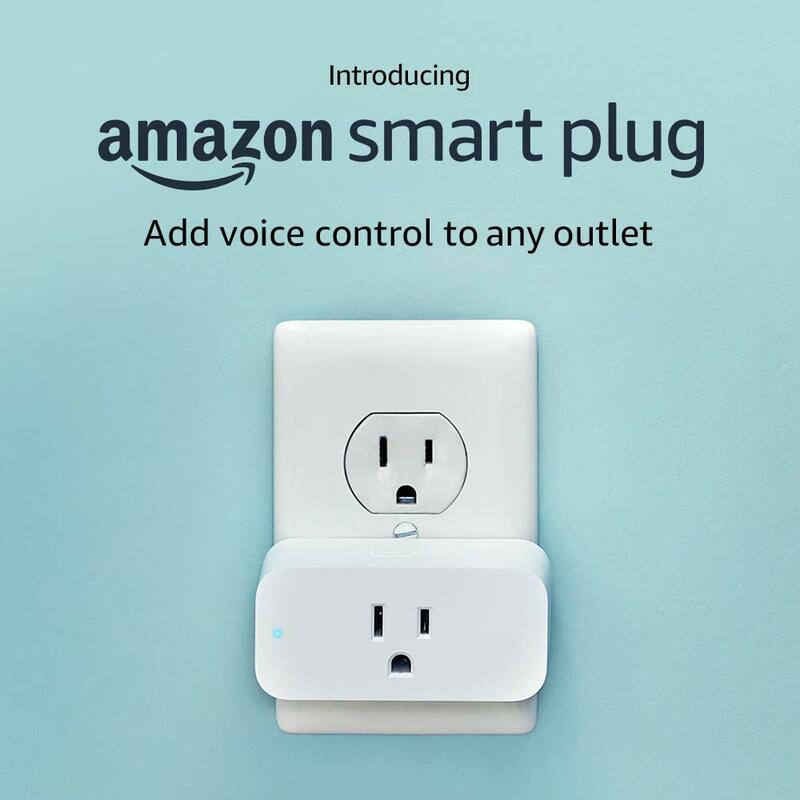 They’ve even already introduced features like Alexa Connect Kit. 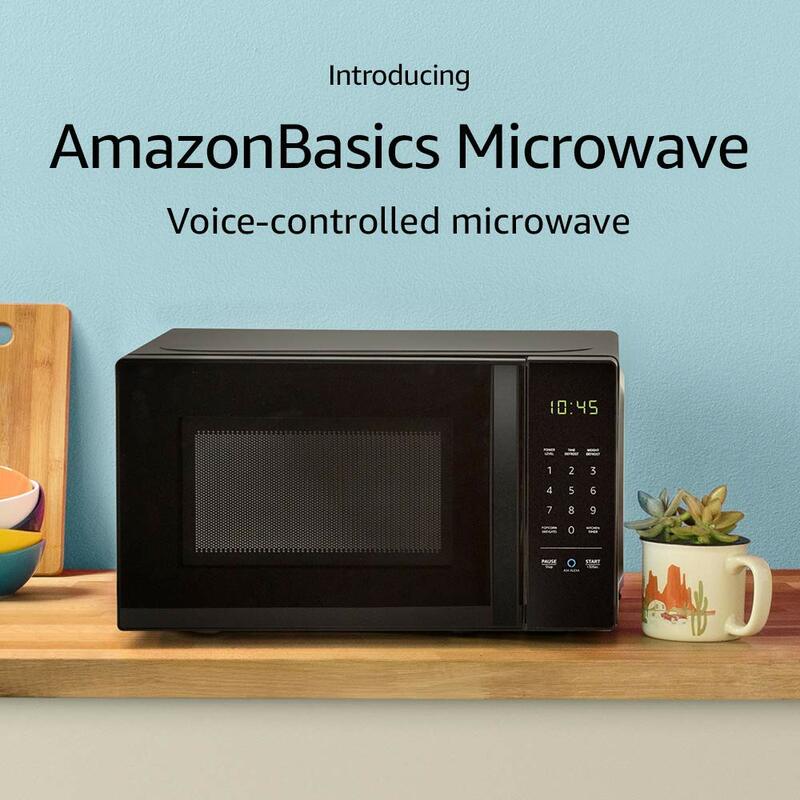 This lets device makers craft gadgets similar in complexity to Amazon’s own microwave. The smart home future is slowly but surely becoming a ubiquitous reality. You only have a few more years to figure out if you like your Earl Grey tea hot or with extra sugar.